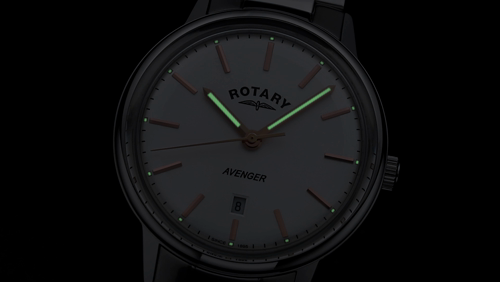 This exclusive men's Rotary Avenger model features a white, dual finish dial with rose stick indexes and facetted straight hands. 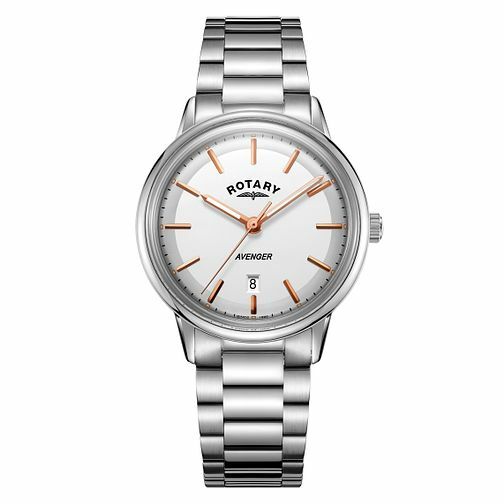 It features a 38mm stainless steel case with date functionality, and is waterproof up to 50m. It is powered by a quartz movement and has a stainless steel bracelet secured with a butterfly buckle.